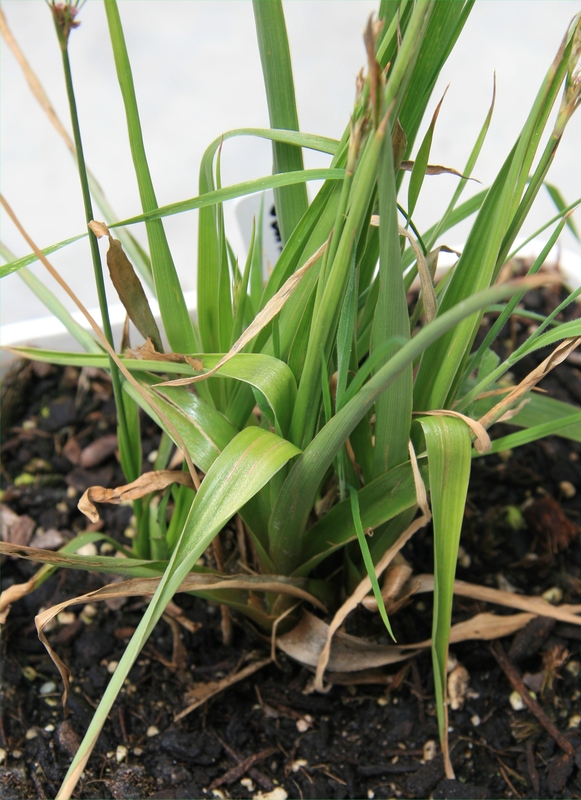 The name ‘rushes’ is widely applied to plants with a characteristic growth form (see Rushes – I). 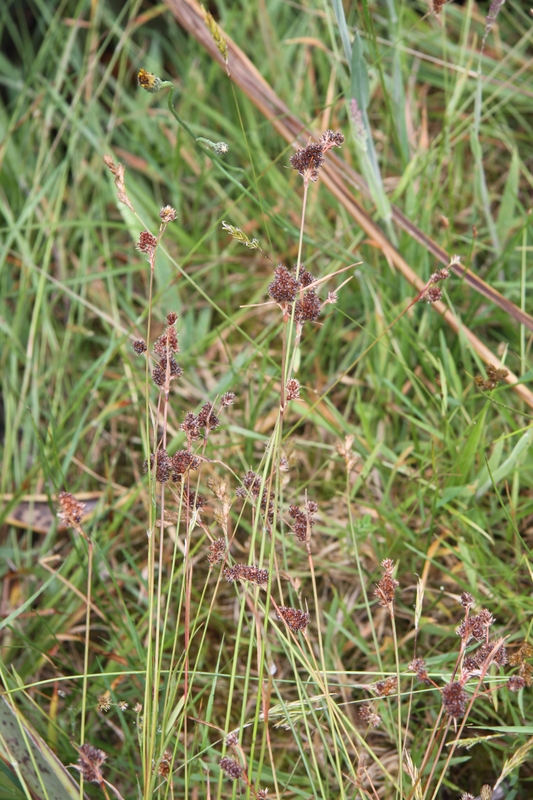 This datasheet includes the leafy rushes and the two common species of Luzula, which are not always recognisable as rushes. 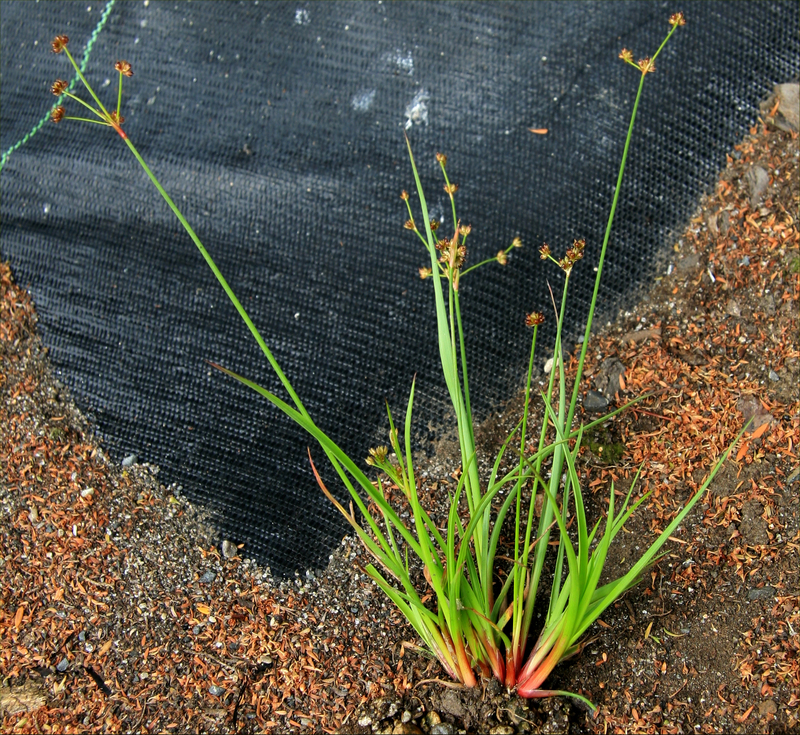 Juncus acuminatus is an upright, often red-tinged tufted perennial that grows in very damp, little-improved pastures and swampy places, usually lowland, in several parts of the North and South Islands. It is native to North and South America. 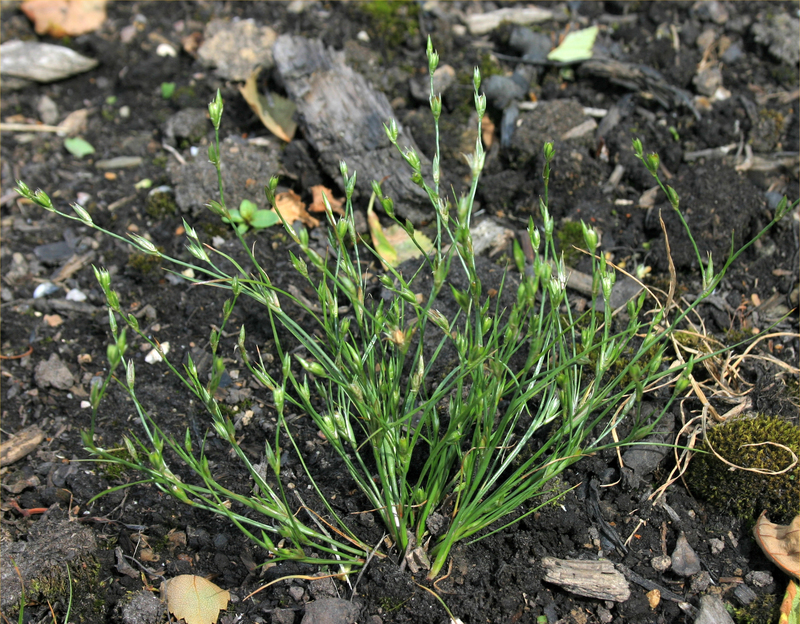 Other similar species, also with hollow, tubular leaves, are Juncus canadensis and Juncus microcephalus. 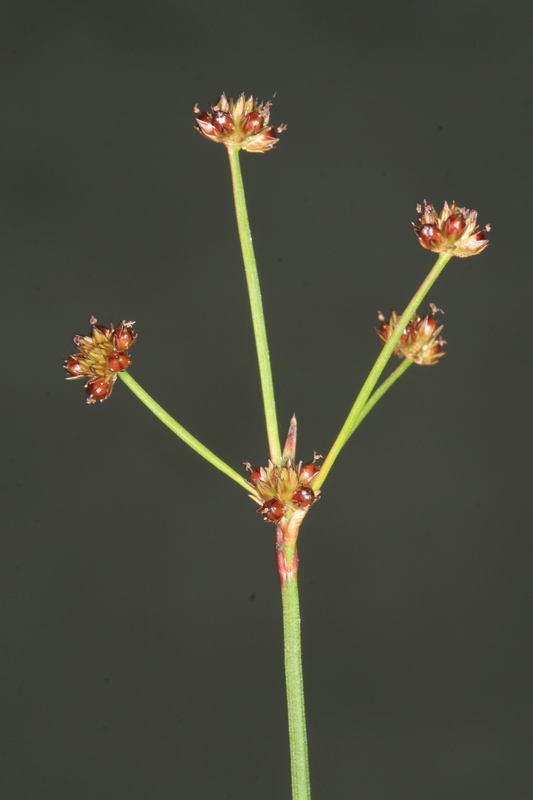 Juncus canadensis (tailed-seed rush) has white-tailed seeds and stiff sepals tapering to a sharp point. 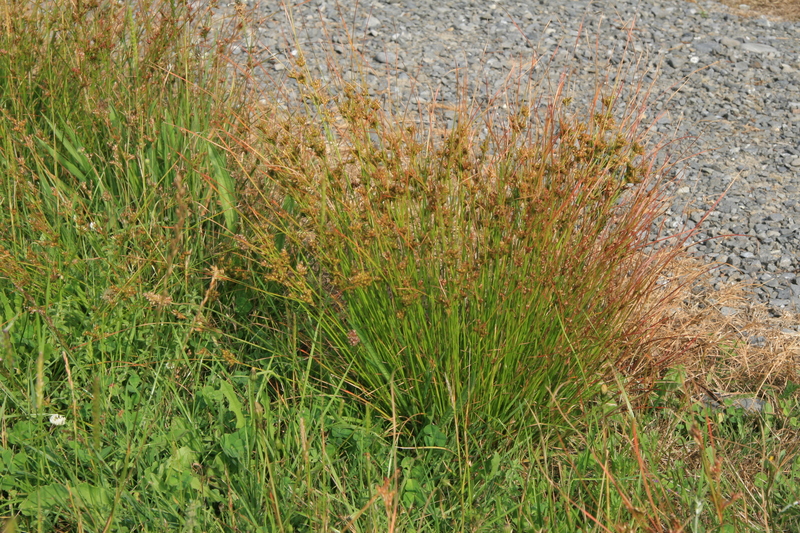 It is a coarser plant than Juncus acuminatus or Juncus articulatus and lacks reddish colouration on its leaves and stem. It is well-established in Buller and Westland and is also found in isolated places in Canterbury and central North Island, in damp paces and swamps. It was introduced to New Zealand from North America. 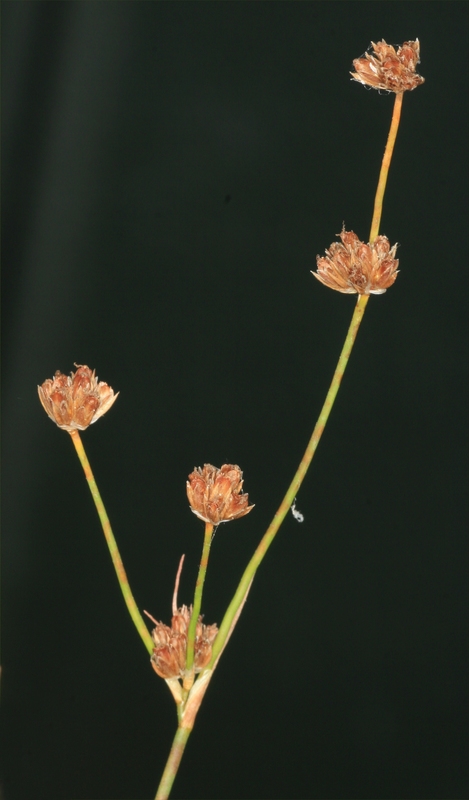 Juncus microcephalus is taller and stouter than most other species and has flat-topped capsules with a sharp pointed tip, also lacking the obvious partitions in the stem below the flower head. It is loosely or densely tufted, and occurs in wet places and scattered localities throughout the North Island, and in the South Island in Nelson and Canterbury. It originally came from South America. 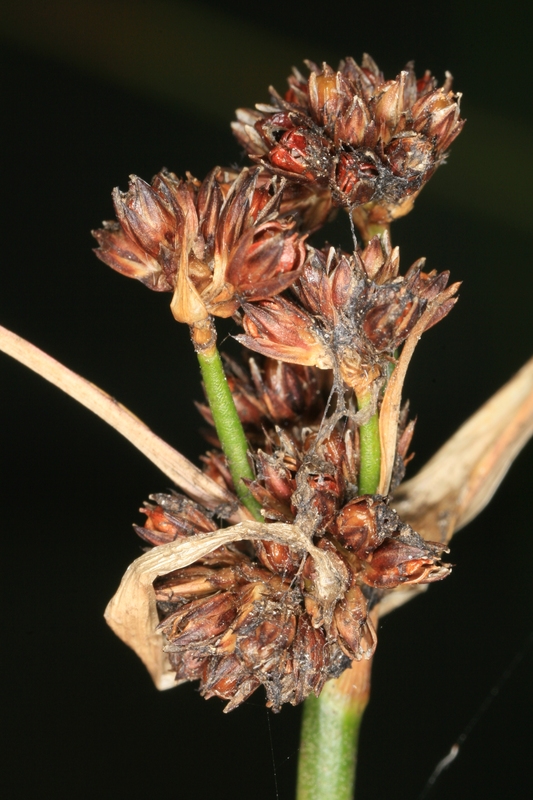 Juncus articulatus (jointed rush) is a widely occurring and abundant rush with cross-partitions in its round or flattened leaves, and is characterised by its pointed, glossy, dark brown to black capsules that are longer than the tepals (flower parts). Originally from Europe, this species is now found throughout New Zealand in swampy and wet places, including roadside channels and other drains, races, streams and rivers. 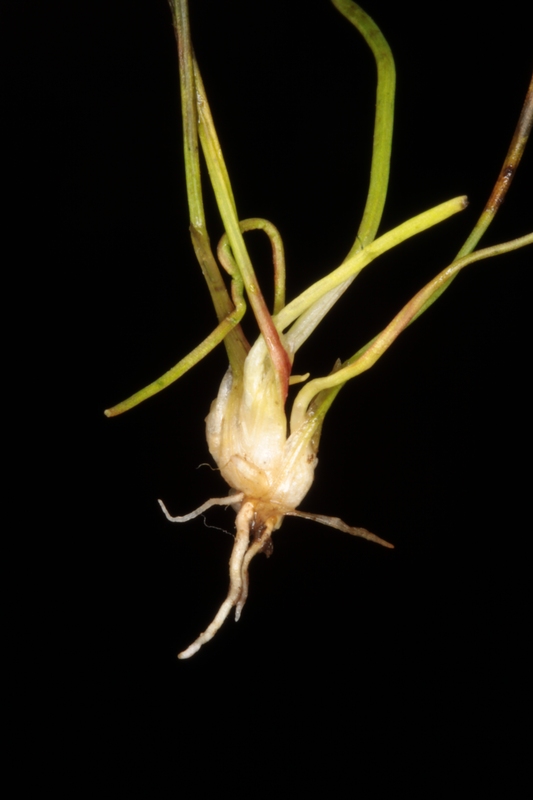 Juncus bulbosus (bulbous rush) occurs in swampy places, especially in high rainfall districts throughout New Zealand. It thrives on the pakihi, gumland and other nutrient poor wet soils. It was introduced to New Zealand from Europe and North America. 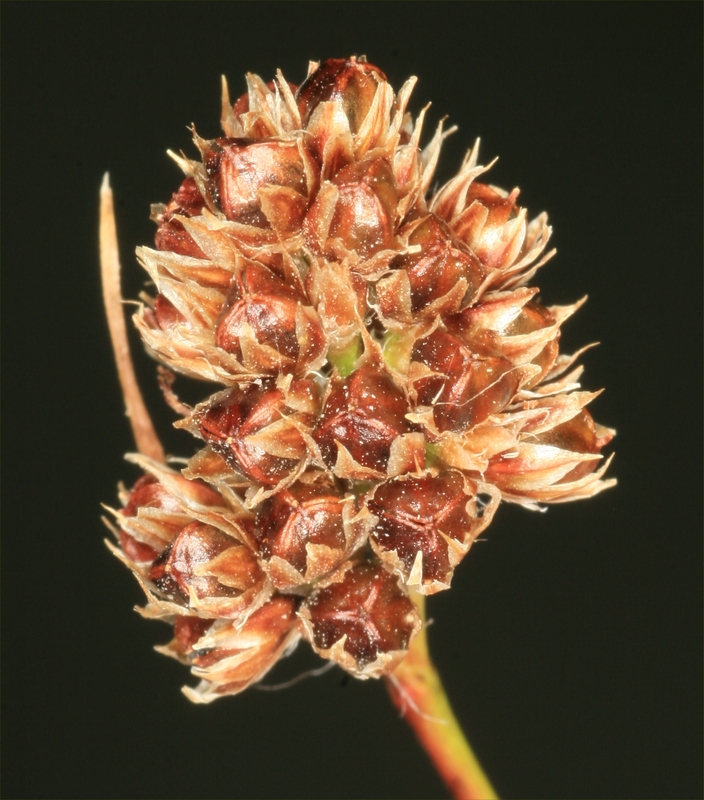 Juncus prismatocarpus can be found in swampy ground throughout the North Island and in a few places in Nelson, Marlborough and Westland in the South Island. The species is native to New Zealand, Japan, China, India, Sri Lanka, Philippines and Australia. Similar species. 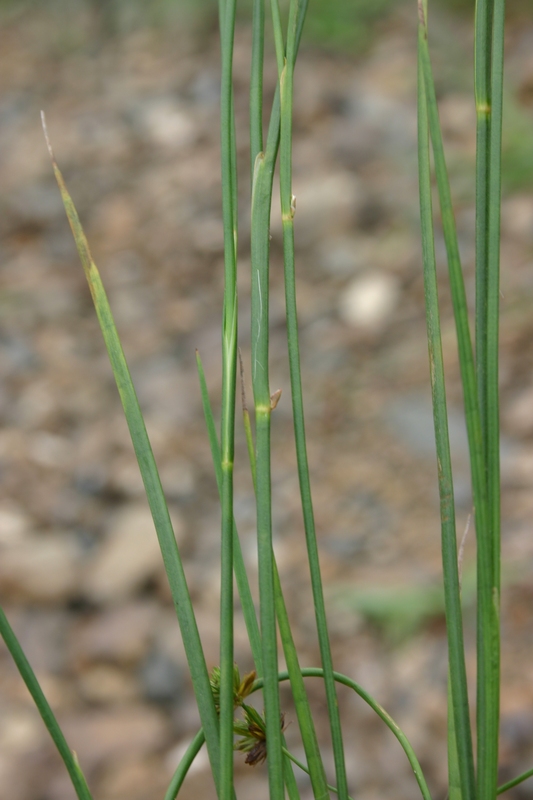 Juncus ensifolius has distinctly sword-shaped, flat, blue-green leaves which have internal longitudinal and transverse partitions clearly visible from the outside. 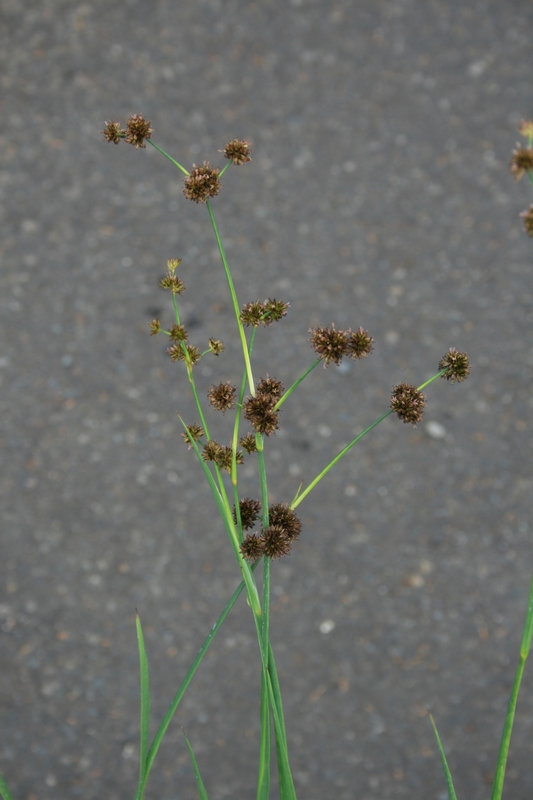 The stems appear to be winged between the lower nodes and they carry large, black, clustered seed heads. 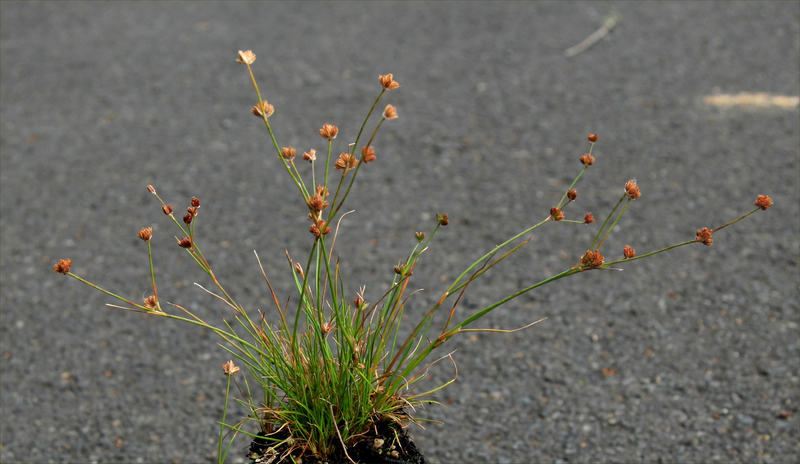 Plants are found in wet swampy places along roadsides and rivers in a few places from Rotorua and Pureora south to Westland and Canterbury. It is native to western North America. 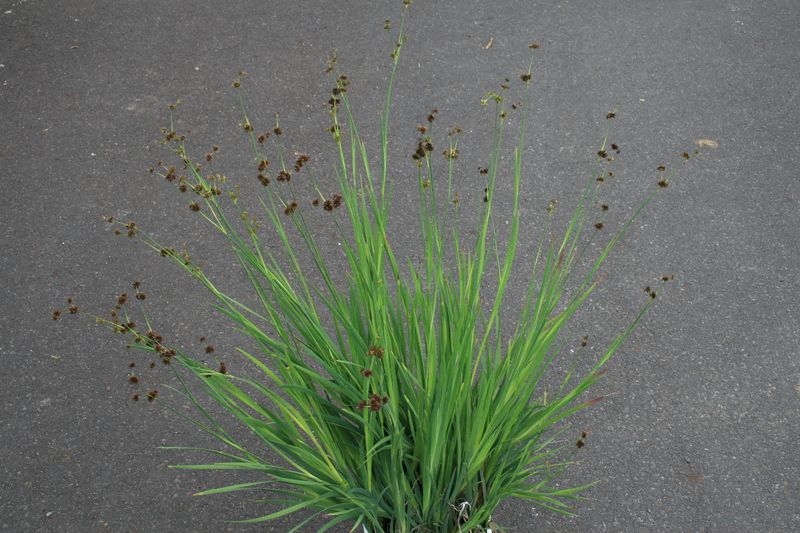 Juncus planifolius is an upright, tufted perennial, with grass-like leaves. It can be found throughout New Zealand in higher rainfall areas, on shady cuttings, about springs or seepages, along ditch banks and in roadside water channels. It is native to New Zealand, Australia, South America and Hawaii. Similar species. 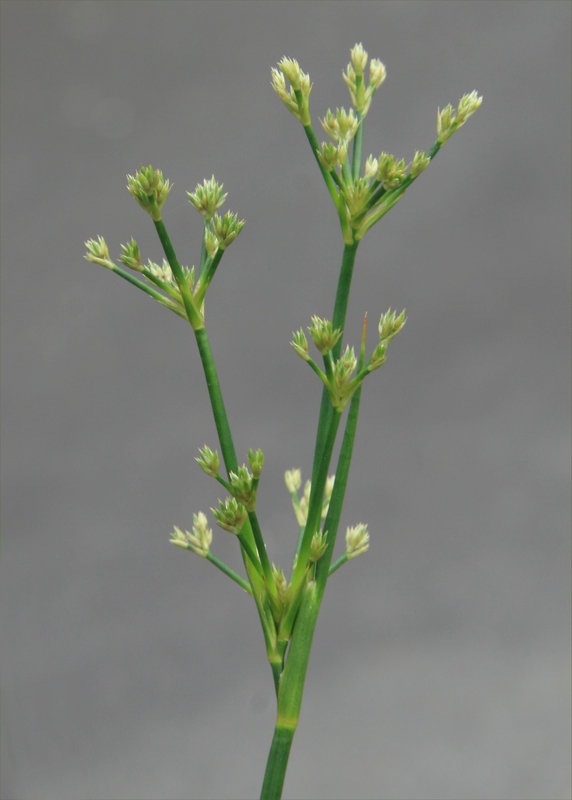 Juncus caespiticius is also native and similar in its grass-like form but differs in its inwardly rolled leaves and compact, globose heads. It is found throughout New Zealand in lowland swamps or brackish ground, being a common weed of drain banks and races in Canterbury. 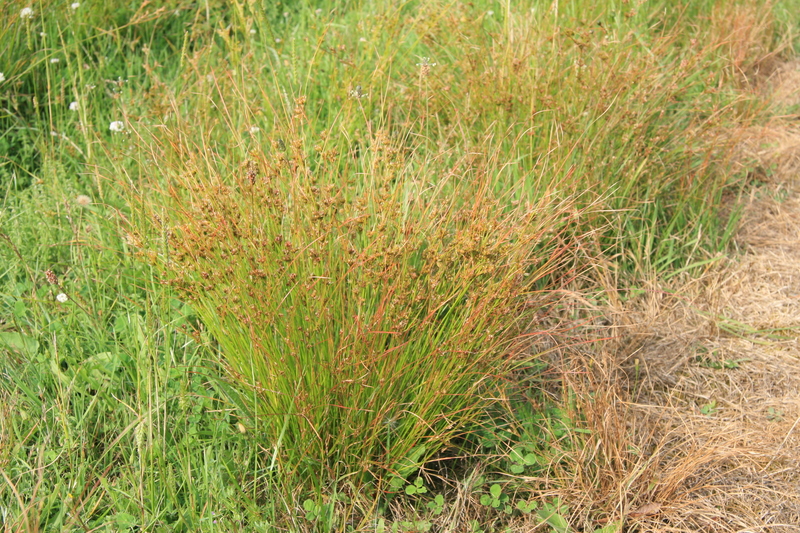 Juncus lomatophyllus (broad-leaved rush) is also a grass-like perennial, only found on the West Coast of the South Island. 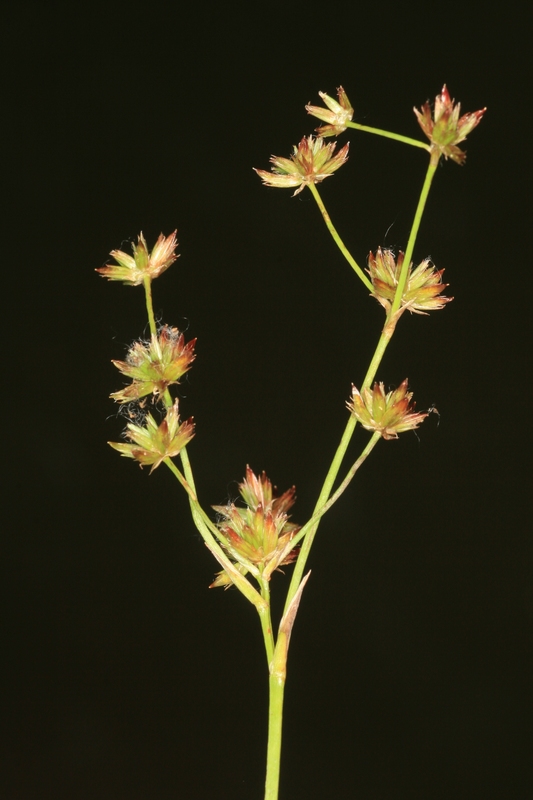 Its flower stems are longer than the bright green often red-tinged leaves, which are very broad, being 6-15 mm across. 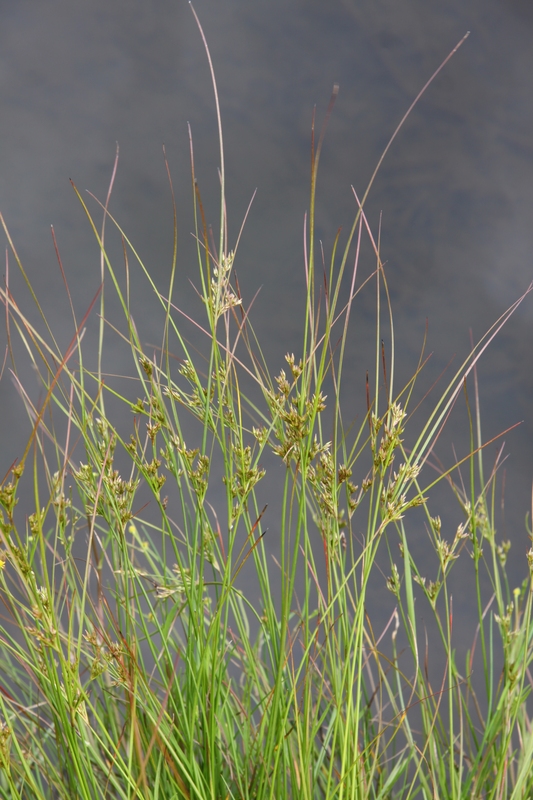 It is locally common in swampy places and sometimes in damp pastures. It is native to South Africa. 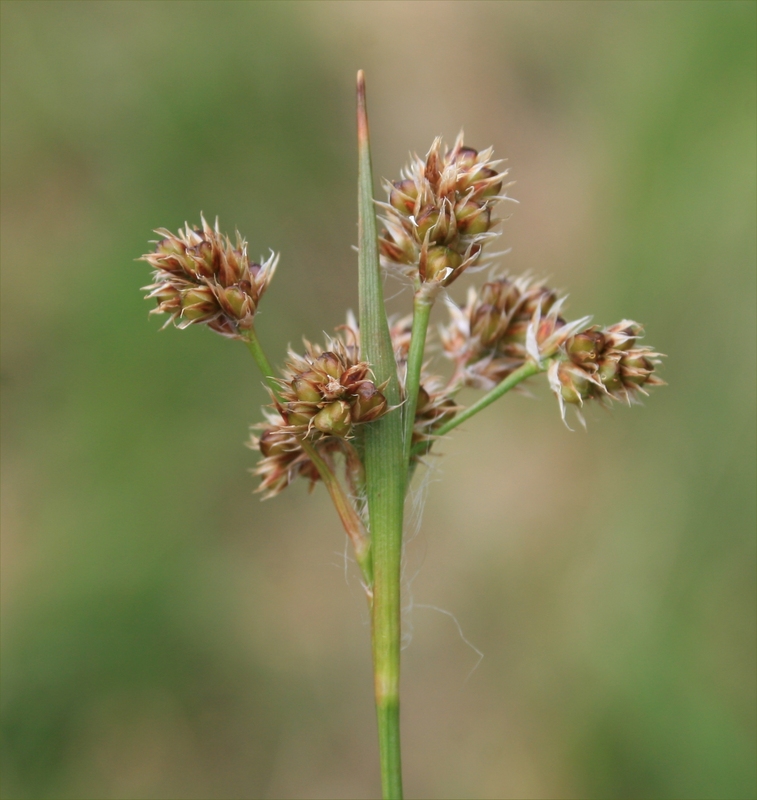 Juncus bufonius (toad rush) is a very common weed of cultivated land, pathways, and lawns. This is probably the most widely distributed and abundant of the introduced species in New Zealand. It occurs throughout the country from sea level to about 1200 m. The tiny seeds are dispersed by animals, footwear, tools, wind and water, and can be found in huge numbers in some cultivated soils. Its fibrous roots make the plant easy to pull from the ground. The species occurs throughout the world, especially in the north and south temperate zones. 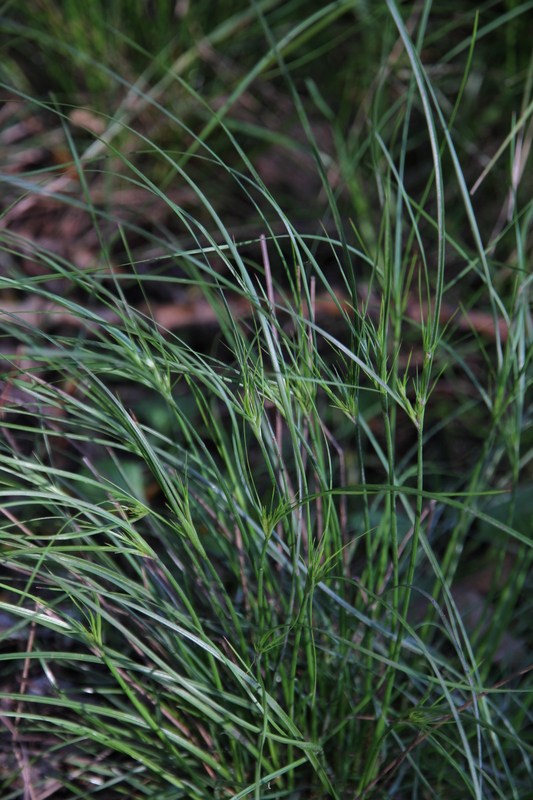 Juncus tenuis is a wiry leaved rush forming stiff tufts to 60cm high. Native to North and South America, it now occurs throughout New Zealand in damp or dry places and is sometimes a problem in pastures. Since it is tolerant of treading and has sticky seeds that help its spread, it is commonly found along paths and tracks, shingle drives, farmyards, gateways and along road verges. It sometimes forms colonies along the shoulders of sealed or shingle roads. 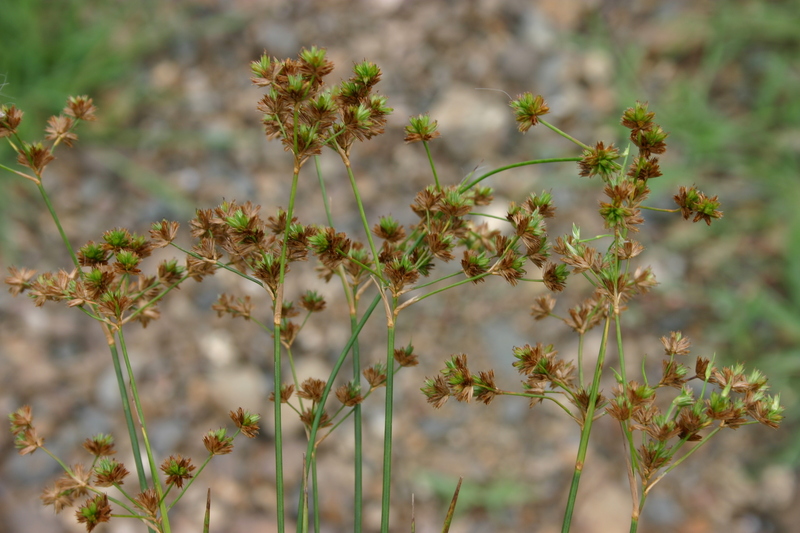 It can be confused with Juncus bufonius, but plants are not easily pulled from the soils, the tufts are denser and have basal leaves, and the flower heads are less than one third of the plant height. 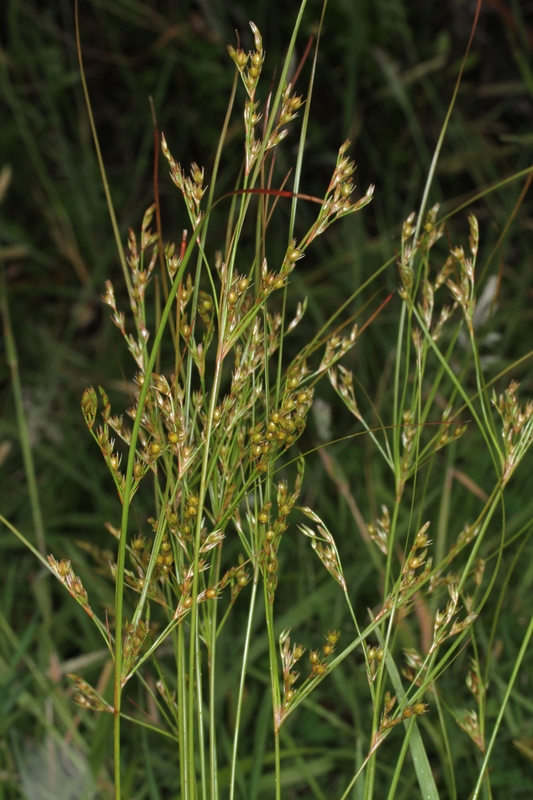 Luzula species are grass-like, with flower stalks less than 1 m tall, flowers at the top of the stems, and have hairy leaves especially near the leaf bases. 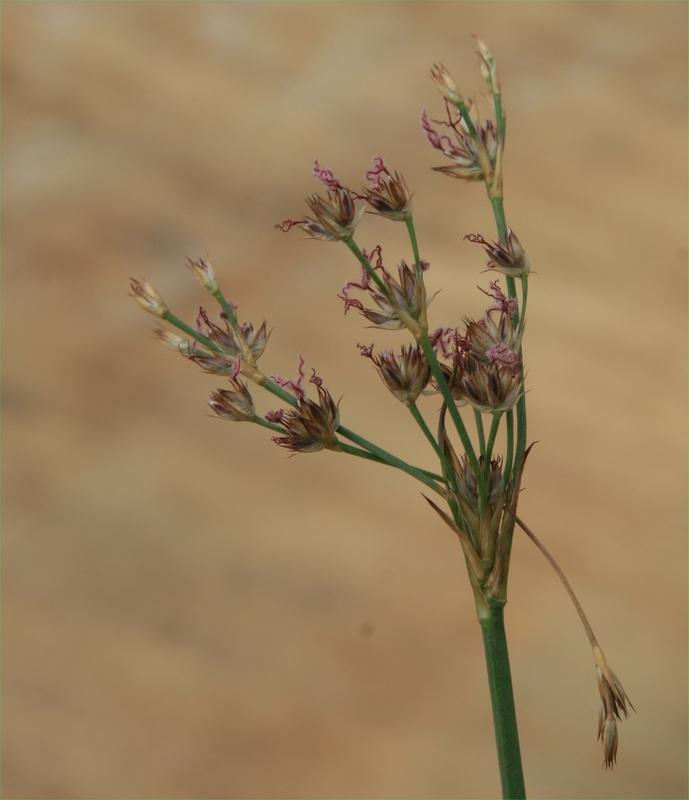 Additionally, the capsules of Luzula contain three seeds, whereas Juncus capsules contain numerous dust-like seed. There are 20 native species in New Zealand, mostly found in forest or upland rocky or grassy locations and may be found in tussock land. There are four introduced species but only two of these are commonly found. 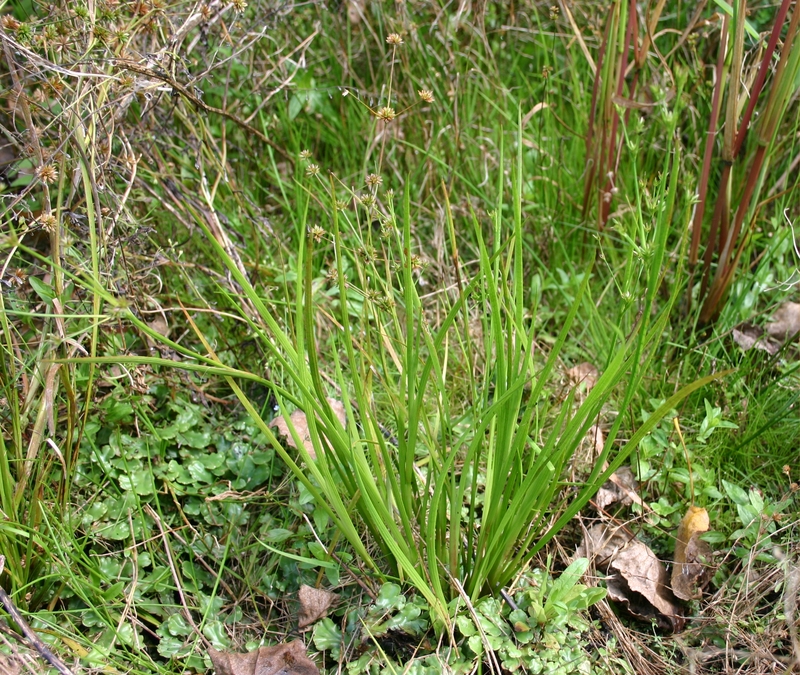 Luzula multiflora (wood rush) is grass-like, tufted, with the leaves usually having long white hairs on their margins, especially towards the base. 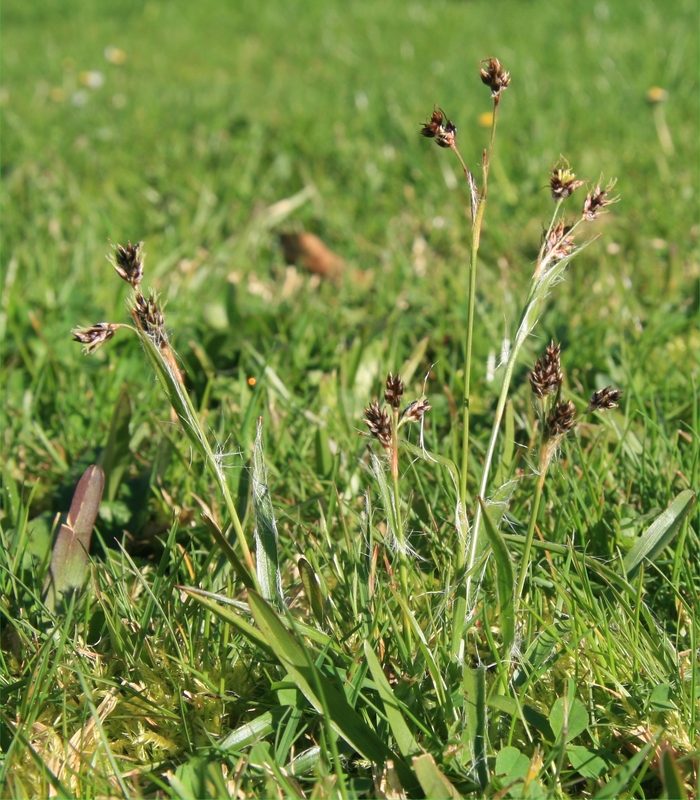 This species is found in poor and reverting pastures in the North Island and in a few places in the South Island. 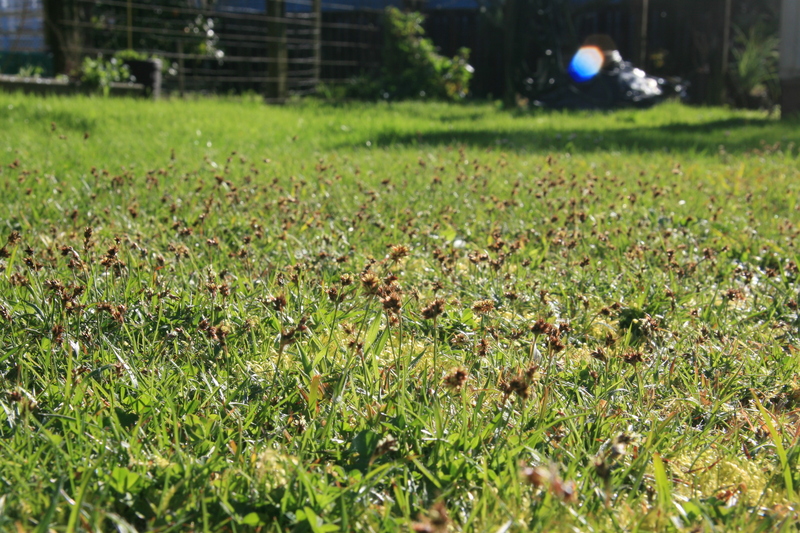 It can form dense, low-growing colonies on damp gully bottoms and can invade lawns. Bright green leaves are 2-3 mm wide, shorter than the flower stems, soft and limp, with blunt tips and long silky hairs on the margins of the lower halves. 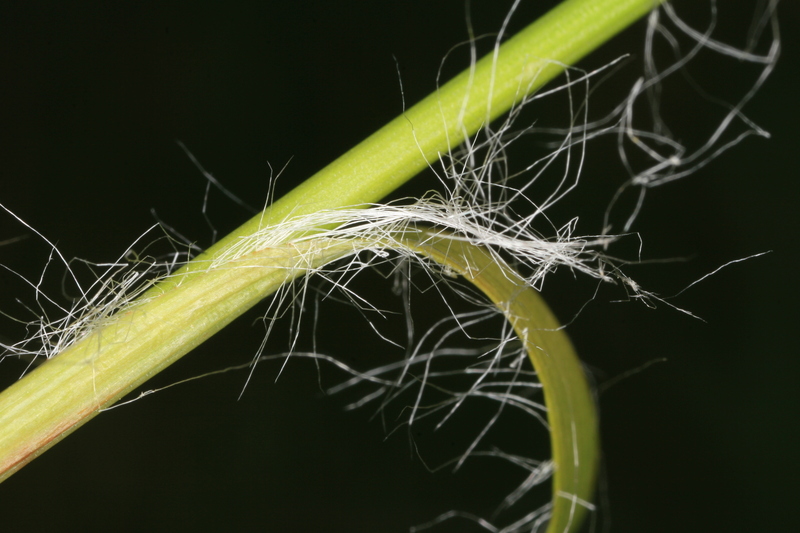 At the mouth of the leaf sheath is a thick tuft of white hairs. The leaves have minute marginal teeth. 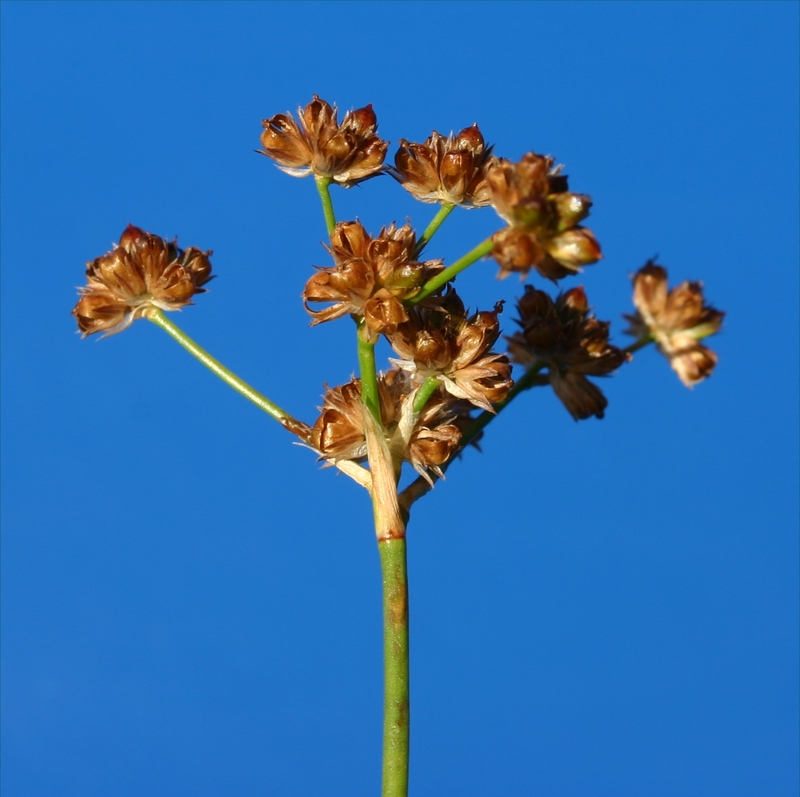 Flower stems are 20-30 cm high, and the flower heads are umbel-like with a central cluster and 3-10-flowered lateral clusters. 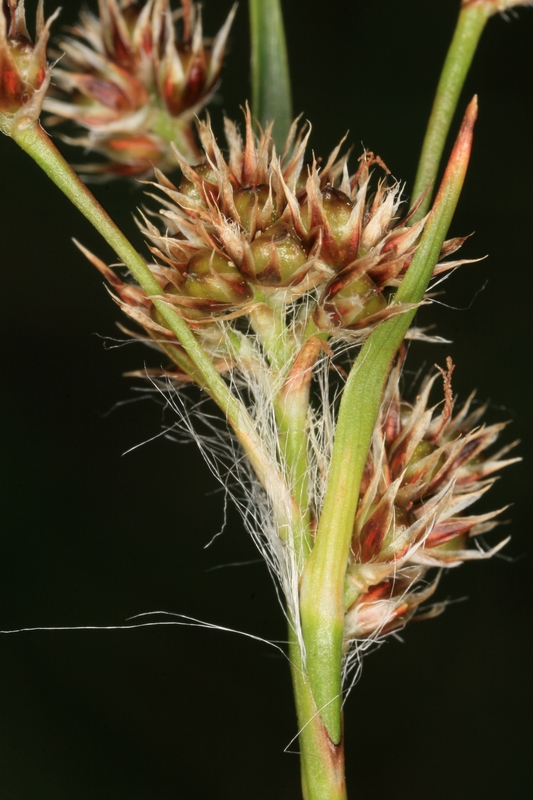 Luzula congesta is similar, grass-like, and also has minute teeth and long soft hairs along the margins of the leaves, and a tuft of long hairs at the mouth of the leaf sheath. 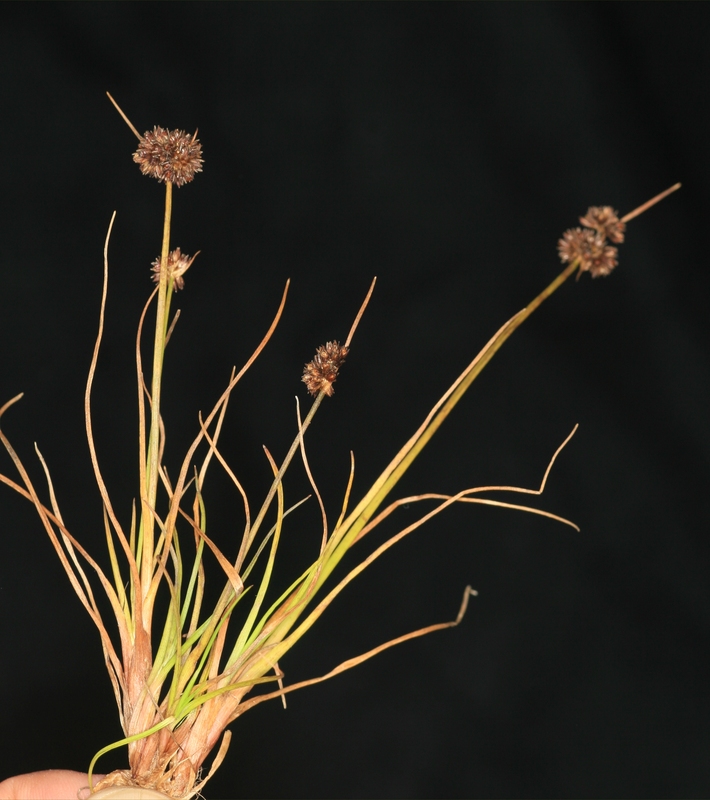 Its flower head consists of a large rounded or lobed head, often more than 1 cm in diameter, with a large central cluster occasionally with 1 or occasionally 3 smaller clusters on long stalks. 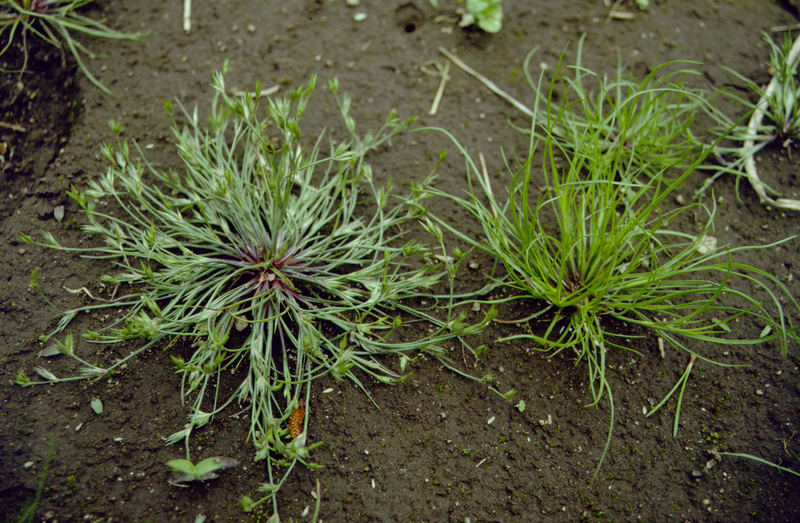 This species is found in second-class and reverting pastures, often on damp ground. Several species described here are native, but not restricted to New Zealand, while the remainder are naturalised being introduced from other countries. Seeds germinate in spring and autumn, whenever conditions of temperature and moisture are favourable. They can reduce the productivity of pastures by replacing more valuable and palatable species. Ploughing or rotary cultivation will effectively control rushes, but if pasture is resown afterwards, it is worth considering drainage and the use of appropriate fertilisers and grass cultivars or species. Champion P, James TK, Popay IA, Ford K 2012. An illustrated guide to common grasses, sedges and rushes of New Zealand. New Zealand Plant Protection Society, Christchurch, New Zealand. 182 p.
Healy AJ 1982. Rushes. Pp. 129-172, in Healy AJ, Identification of weeds and clovers. A New Zealand Weed and Pest Society Publication, Editorial Services, Featherston. (Book no longer in print and hard to find in second-hand bookshops). Healy AJ, Edgar E 1980. Flora of New Zealand Volume III, Adventive Cyperaceae, Petalous and Spathaceous Monocotyledons. PD Hasselberg, Government Printer, Wellington, New Zealand. (Book no longer in print but may be available from second-hand bookshops).